Stuck out on a taxonomic and evolutionary limb, this rare Chilean endemic is the only species in the Gomortegaceae family, thought to be approximately 100 million years old. 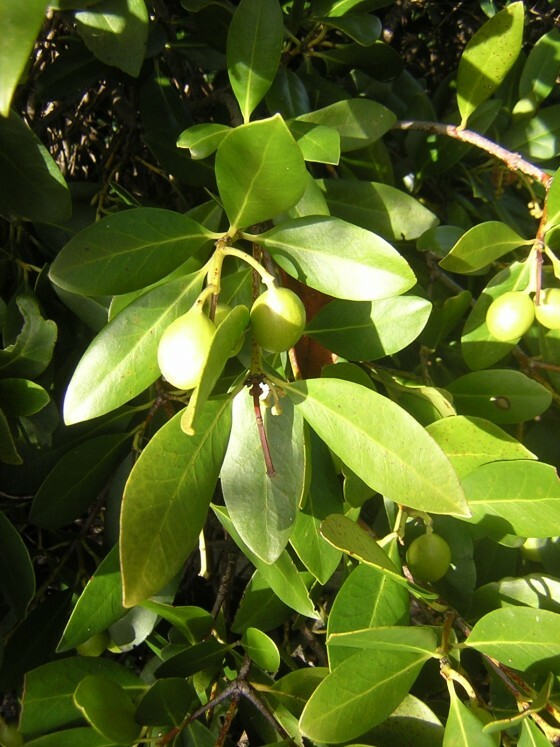 But while its characteristics shed light on the origins of a related and ecologically important family, the Lauraceae, Gomortega keule’s future is uncertain and it is considered to be Endangered. 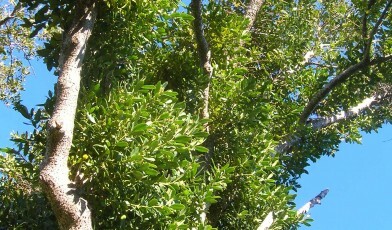 This medium-sized evergreen tree is found in isolated ravines in the Cordillera de la Costa (coastal mountain range) of Chile’s Maule and Bío Bío provinces. With roble beech (Lophozonia (formerly Nothofagus) obliqua), Gomortega keule forms a unique vegetation community which is part of the Central Chile Biodiversity Hotspot. Its fruits are a popular source of food, used to produce jams, alcoholic drinks and syrups, with its high-quality timber favoured for carpentry and construction. The original native plant community around Gomortega has been drastically affected over many years by fires and logging for timber, as well as recent conversion of land to exotic conifer plantations. Within the remaining fragments of natural forest Gomortega is rare, occurring as individual trees or small groups. It regenerates poorly from its seeds, which are currently dispersed by rodents or gravity but which may previously have depended on larger, now-extinct animals. In circumstances like this, dwindling genetic diversity often presents the most significant threat. However, Gomortega appears to be (for the time being at least) safe from this threat, thanks to the efforts of its hoverfly pollinators. They travel up to 6km between trees in different forest patches, crossing plantations and agricultural areas as they do so. This vital link between small populations ensures that scattered Gomortega trees have not joined the ranks of the ‘genetically dead’, with every population, however small, being important for the species’ conservation. Gomortega’s situation may well be insecure – few populations are in protected areas, and individuals can be logged despite their ‘natural monument’ status – but for now its scattered individuals are holding on. Knowing that the Gomortega keule gene pool is relatively safe for the moment allows conservationists to target their efforts at the more pressing threats facing this important species. Hoverfly pollinators can travel up to 6km between isolated populations of Gomortega keule, providing a vital genetic lifeline for this Chilean endemic tree.